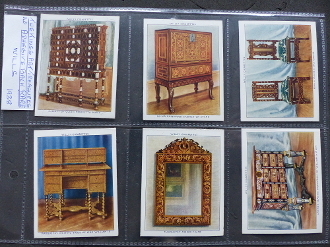 WILLS - THE KINGS ART TREASURES - RARE ADHESIVE BACK. THIS IS A VERY RARE, BELIEVED TO BE PROTYPE SET, WITH AN ADHESIVE BACK, AS OPPOSED TO THE OFFICIAL ISSUE WHICH HAS A NON-ADHESIVE BACK. I HAVE TYPES OF THIS AVAILABLE UPON EMAIL REQUEST AT £25 PER CARD.